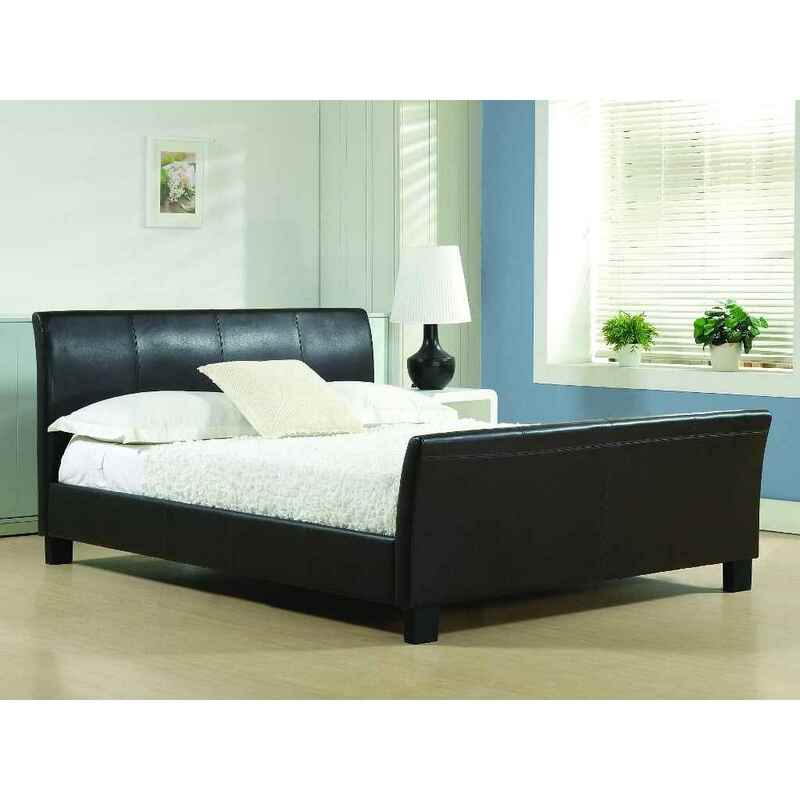 Brown Faux Leather Sleigh Style Bed Frame - Double 4ft 6"
The Brown Faux Leather Bed Frame has a stylish contemporary look which will look great in most bedroom settings. The bed is finished with soft black faux leather and has solid wooden feet with a sprung slatted base for increased comfort. 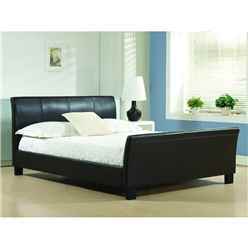 The Bed Frame is also available Black colour and in King Sizes.